Time: 3 p.m. till 7 p.m.
After the tremendous success of GenNext 3.0, PASCH once again brings a film festival on fairy tales. The aim of the festival is to provide students access to screening programs and to use movies as a creative tool of education. The organisers are looking forward to welcoming young, German learners of their five partner schools to this event. For the movie schedule please check their website: goethe.de/dhaka. Admission is open for all. Naveed Mahbub has made quite an impact on the Dhaka scene with his Comedy Club, as well as his show on television. You can now be a part of the studio audience in the recording of his television show that will take place on November 6. Admission is free but on a first come first served basis. For details contact: 0191 429 6455. After the breathtaking response from the previous show, Infinity Event Management is proud to announce "The Lustrous Runway -- Wedding Edition" an exciting opportunity for our community of local designers. The show will include designs by Chaman Chowdhury, Sabah Shafeen, Sanah Sharif, Shahrina Haque and retailers Khan Brothers. If you're undecided on what to wear at the weddings this winter, then this event is where you should be. The Runway will be followed with Sufi Live music by Mostak Ali Khan. 'Park St.' is a brand new movie which has come out of West Bengal's thriving movie scene and, as can be guessed from the title, it is a film about modern Kolkata life. The structure of the movie is that it intertwines the stories of a number of different people who bounce off each other, come back together, mingling tragedy and success. A thought provoking and revealing movie but please be warned, not for faint hearts! Admission is free but to book your seat/s, please contact Red Shift. 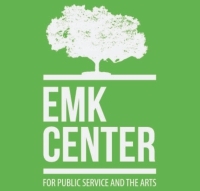 The EMK Center is pleased to invite you to a one-act play by American playwright Edward Albee as portrayed by the wonderful and talented Dominic Gomes and Aref Syed. 'The Zoo Story', Albee's first play, was written in 1958 and completed in just three weeks! The play explores themes of isolation, loneliness, miscommunication, social disparity and dehumanisation in a commercial world -- the play is considered a hallmark of the 'Theatre of the Absurd' genre. The play is directed by Naila Azad Nupur. Ticket price is Tk. 150. Founded by Zeenat Afroz and Samina Husain Prema in 2007, the prmary objective of 'Bhabna' is to expand the role of our rich cultural heritage by retaining the classical dance forms and applying these to Nazrul and Tagorean dance styles. This year they are presenting the famous Tagore dance drama 'Bhanusingher Padabali'. 'Bhanushingher Padabali' is the book of Padavali poems written by the young Rabindranath Tagore in 1875. It was his first published poetical work. Tickets are available at Bhabna, House #11, 2nd floor, Rd #7, Dhanmondi R/A. (#0191 139 0938, 0171 301 1839). Shadhona, House #5, Road #27, Block J, Banani (#0182 243 5947). Jatra -- Banani and Dhanmondi outlets. Tickets will also be available at auditorium gate. Ticket price: Tk. 100 - 1000. Time: 5 p.m. till 8 p.m.
Indalo is an experimental act by a group of young individuals, who term themselves 'perfectionists'. They cover a wide genre covering rays of psychedelic to the gateway of rock, playing around in the areas of grunge. Members Zubair, Jon, Dio and Titu promise a debut gig live at ISD, something that has not yet been seen in the Dhaka scene. Indalo shall be joined by a supporting act from the school. There are 366 tickets, at Tk. 300, from The Bench, Gulshan #1. 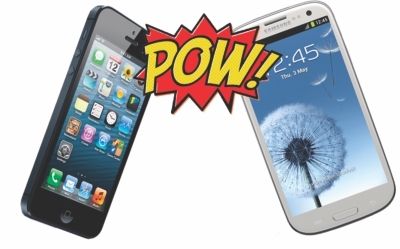 As the contest between Samsung Galaxy S3 and iPhone 5 starts to heat up, we put the two head to head against each other and see which comes out on top. The iPhone 5 sports a bigger screen than its predecessors, standing at 4 inches while the width remains the same. The bigger screen is welcome for Apple users, who have long complained about the stinginess in this sector. However, regular users of the iPhone may find themselves having to re-adjust and re-align the way they hold the iPhone 5 but that may be a small price to pay, considering how much you have already paid for your phone. The Samsung Galaxy S3 trumps the iPhone 5 here with 4.8 inches of screen, which may make your viewing experience much better. Now, the screen may not be of the same quality as the iPhone 5, given the 720 x 1280 resolution compared to iPhone's 1136 x 640 resolution, but it's still pretty good stuff. The screen angle is such that you can also make it as wide as possible and with the extra inches, Samsung Galaxy S3 provides a better viewing experience. Also, did we mention that S3 went HD while iPhone didn't? That's an extra point right there. Since we have already discussed screen sizes, here the matter of dimensions is a tad bit more important. The iPhone 5 is 123.8×58.6×7.6 mm and weighs 112g. The Samsung Galaxy S3 weighs 133g and is 136.6×70.6×8.6 mm in size. Thus, this makes the iPhone lighter and this weightlessness is what people find attractive, unless of course you are surrounded by pick-pockets. So, we'll give the points to iPhone for this. Both phones have 1GB of RAM, 16, 32 or 64GB of internal storage. However, there is one important point that greatly separates the Samsung S3 from the iPhone 5; the S3 comes with microSD support for up to 64 GB whilst the iPhone does not. This means, additional storage can be created for the S3 while the same cannot be said for iPhone 5. This makes the S3 climb a notch higher in our ranking. While the iPhone 5's battery capability hints at 8 hours talk-time, the S3 boasts around 11 hours. However, the whole talk time deal is a bit deceptive, because talking isn't the only thing that smart phones are used for. There are a variety of other things to consider as well. Samsung S3's additional battery capability in comparison to the S2 doesn't make it more powerful. The system itself has upgraded and as the system has become much more advanced it may perhaps have evened out the battery's additional capacity. iPhone 5 users on the other hand claim that the phone stays charged for an entire day. Going by what we have seen so far, we would have to chalk this one up for the iPhone 5. In terms of Camera, both phones come pretty close. 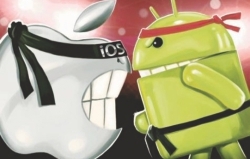 The operating systems are amazing for both the phones as well, however there is the slight matter that Android phones are much easier to customise and the whole maps issue has really put a dampener on iPhone's early charge. In terms of design, this is a matter of preference; the iPhone 5 is much classier and sleeker while the S3 is downright 'attractive' while remaining robust. In terms of accessories, we cannot get over the perfection of the iPhone 5's new headphones but the S3 remains easier to charge, given how Apple changed the whole USB charging system for their phone. Considering everything, we would have to give the Samsung Galaxy S3 the green light for purchase ahead of the iPhone. Why? Apart from the reasons already provided, it is well known that Apple is notorious for constant updates, meaning you'd have to keep spending more and more to keep up while the Samsung makes sure you stay in style longer. Now, go ahead and make your call. After a long holiday you need to get back on your feet, which is not an easy thing to do especially as you put brakes on your momentum. And regaining the momentum won't happen overnight. Lethargy is a prime reason why getting back is not easy. An overdose of sleep and carbs has invited it. Hence, curb your carbohydrate intake to have control over lethargy. Preparation starts the night before, not on the very day you want to start the new routine. Make a to-do list and call your colleagues or classmates. These will create the urge to get back to work, considering the amount of activities that are pending. Cleaning up your desk is also another way of making a kind of an “official” recommencement of work. The roads were wide and clean like some scene from a European capital city. The pathways were lined with shady trees and bushes. The shops carried French names at times and the art galleries filled the city, at least downtown. There was the Mohatta Palace, which was being renovated for months. But it had a small shopping outlet where cards and black and white T-shirts, along with illustrated books on Sindh were available. Some of the galleries in the midtown carried cute paintings by artists from Dhaka, artists the gallery owners had never seen themselves. There was an abundance of paintings of rickshaws, and delicate, expensive canvases by well-known local artists. There were prints of French Expressionist painters, mounted on canvas satchels being sold at exorbitant prices. Yes, Karachi was like a woman beckoning with its charm and glamour. This was not only because one's friends and associates from the time of nursery school to a career in newspapers were all centred in the hub of the city. The city had so much more to offer -- the fruit and veggies are incredibly cheap and delicious. Fruit vendors are amicable and full of solicitations, the vegetable seller is just as friendly. The dry-fruit vendor was just as amicable and full of camaraderie. One feels one has known them for donkey's ages and can talk with them for hours on end about one thing or another. Could the city really have been so warm and sugary? To me it was and is. And returning to this city of my childhood I saw it in the same colours my childhood recollections had painted. Each day spread out like a long lazy, hazy day of summer holidays. I ate and slept , at clubs like the Sindh Club and other places with green grass. And friendly bearers in white uniform with gold buttons, and ornate headgear in the form of turban in gold and pleated white. With Tanveer Hazir and her husband, the doctor, we went to another neat, grass and tree covered club, steeped in history. I could barely tuck in the amount of food and conversation. Tiger heads and unending flowers -- like white chrysanthemums -- were arranged with care and precision. Could one ask for more? The food varied from European cuisine to Indian delicacies like paratha, kofta, kabab, 'tudul roti', etc. There was caramel custard too. The 'Halwa' tray was also worth examining. I stayed at Rehana Alam's house -- near the Saudi and Turkish embassy -- and somehow my other college and school friends from earlier times were all located nearby, or at Clifton which everyone was familiar with. Now they are all in their sixties, but they had all miraculously kept their figures, and of course their flow of repartee. It was not as if I did not dine in state, with the caring and lovely Bhabi Sima as caring, loving and comforting as before. Apart from the formal meals, and, there were what appeared to be crates of presents -- in the form of perfume, Parker pens, household beautifying items. She treated me with care and love -- as one would a child. Can such a groovy holiday be forgotten? When a parent loses his/her temper in front of the child, the experience for the latter can be quite an unsettling one; setting a bad example isn't the only harm you are doing. Although the degree to which your child may have been affected may not be evident at all, this does not mean that it's an issue you can just forget about and move on. There are steps that can be taken for damage control and to control your temper in the future. Recent studies have shown that frequently expressing anger in front of your children can actually make them aggressive, even depressed. The adage that children learn from home isn't at all far from being true; for a child, their parent is their biggest and most influential role model. If you fail to empathise, your child will quickly pick up on that behaviour in time and this will have an adverse effect on his/her psyche. When rage becomes your child's answer to life's problems and frustrations, s/he will be less than willing to adapt to any changes and this will be detrimental to development. Exactly what ticked you off also plays a role for your child. An argument with a spouse or one with a stranger will be perceived as two different things by the child and thus will have to be dealt with in two different ways altogether. If you lose your cool with your spouse and have a sudden outburst, then take the time to calm down and explain to your child that what you did was wrong. Emphasise that it was wrong of you to react the way you did but do not try to justify your actions. Do not play the blame game because this will put your child off from either one of you and replacing your marriage counsellor with your child is the worst thing you can do. If the object of your scorn is a stranger, then firstly pause and reflect. Remember, you cannot apologise for being angry this time around. Instead, apologise for how you handled the situation and how you feel bad about it and would rather do it differently. Make it a point to react in a more positive manner in front of your child next time, to reinforce your message. If your tirade was directed at your child, calm down. Ninety percent of parents surveyed by New Hampshire University admitted to having yelled at their children between the ages of 12-22. Therefore, if you have done so too, it's only normal. Make amends; say you overreacted and will try not to do the same thing again but do not make the child feel victimised when he or she isn't feeling such. If your child is the one getting to you, find out what he wants exactly instead of losing your cool and beating about the bush. Children usually are more aware of what they want than we are and thus can tell you if coaxed rather than scolded. Try to keep your marriage wars behind closed doors and not in front of your children. Express yourself and the reason why you are becoming angry, instead of acting on the urge to just lash out. Keep your cool and ensure that your child grows up having learnt to do the same. The festive season is not over yet. Weddings, Christmas and New Year's Eve are yet to come -- the time for ladies to look around and pick the best fit is still out there. Empress, a comparatively new fashion house, aims to create elegant garbs, ones that would satiate the demands of the women in Dhaka for contemporary cuts, bold colours and vibrant designs. The products on offer are not just limited to attires but their extensive range allows the buyer to choose from footwear as well as accessories. This winter they are more focused on the season's colours, primarily on black and darker shades. One can easily see the emphasis on the use of 'makhmal', lace and embroidery on chiffon fabric. And for those odd sunny days of December, they have comfortable, printed chiffons. Empress also stands apart from most other fashion houses with their exclusive range of shalwar kameezes, which have been 'long', -- by popular demand. The prices ranges between the affordable to the high-end. Check Empress showcase their designs at the Gitanjali Wedding Festival at The Westin, between 8-10 November, 2012.